The Canadian actress, Sarah Jeffery has achieved so much in her career only within a short space of time. Her diligence and consistency towards being a better actress, dancer, and singer ever since she was a child have certainly paid off. Read through her success story as we reveal some facts you may not have known about her. Sarah Jeffery has gained grounds in the entertainment industry as an actress, singer, and dancer. She has gone ahead in showcasing her skills in a distinct, unique yet intriguing style. She gained fame with her appearance in the first season of the drama series, Wayward Pines and also with her lead role in the 2018 movie, Charmed. Sarah Jeffery’s full name at birth was Sarah Jeffrey, she isn’t one of those actors who modified their name to suit an acting career. She was born in Vancouver, British, Columbia on the 3rd of April 1996, thus, she’s an Aries. Sarah Jeffrey has a mixed ethnicity. Her father is said to be of an African-American descent while her mother holds an English and Native American heritage. Having been born in Canada automatically gives her rights as a citizen. There is a paucity of information regarding the details of her parents. However, we gathered that her dad’s name is Lee Jeffrey while her mother’s identity is yet to be uncovered. More so, her dad is often regarded as an actor. He was featured as her on-screen dad in the drama series, Wayward Pines. From most of her photo uploads on social media, it seems that the actress is way closer to her dad than her mom. Sarah Jeffery became art inclined as a child. She ventured into the art, singing, dancing and acting when she was three years old, appearing in several theatres plays. Also at that age, she was also a member of the semi-professional dance crew, Bod. Having practiced for a long period of time, Sarah Jeffery gained professionalism as a dancer. She is quite talented and swift with most of her moves. She runs a YouTube channel where she uploads most of her dance moves. Also, she sometimes entertains her fans live on Instagram. Sarah Jeffrey bagged her first major role in Aliens in the House; a movie aired on Cartoon Network. She later appeared in the series Rogue where she played the lead role. With her skilled performance in Rogue, she landed the role of Amy in the popular web series Wayward Pines. Sarah appeared as Princess Aurora in the 2015 Disney Channel movie, Descendants following her appearance in the animated spinoff film, Descendants: Wicked World. 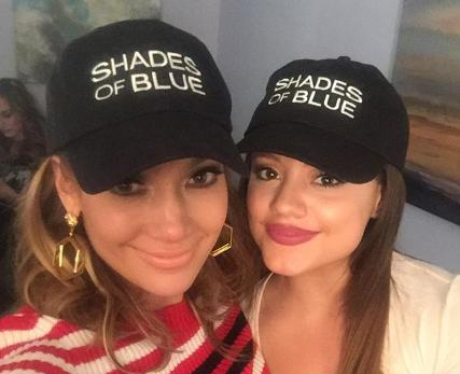 In the following year, the actress played as Cristina Santos in the drama series Shades of Blue and was also featured in the comedy film, Be Somebody. Two years after, she landed a role as Maggie Vera in the drama series, Charmed. Despite the fact that her career has spanned only for a short while, she has managed to gain a net worth of $500,000. She has diligently put in her best in most of her roles on set. When it comes to Sarah’s height, she stands at a height of 5 feet 2 inches but the actress could most likely add a few more inches as she is still growing. She has a weight of 52 Kg. Sarah has managed to maintain this body size over the years thanks to her frequent exercising and her dancing activities. As we all know, most celebrities often times are involved with heavily publicized relationships. Only a few have managed to keep their personal affairs off the spotlight. Sarah is yet to reveal the identity of the man after her heart. 10. She is A Vegan. Well, Sarah took to her Instagram page sometime in 2016 telling her fans that she has eventually decided to be a vegan. She never disclosed the reasons behind her decisions but went ahead to urge her fans on the pros and cons behind veganism.